While the whole world is waiting for Meghan Markle to have her baby, many are also wondering what kind of parents she and Prince Harry will be. When it comes to Prince Harry, judging by a recent moment of calmness, we can say with certainty that it seems he is going to be a wonderful father. Many a time has Prince Harry shown the world how great he is with children. However, it is his recent encounter with a dog that made many conclude that he will be an amazing dad. 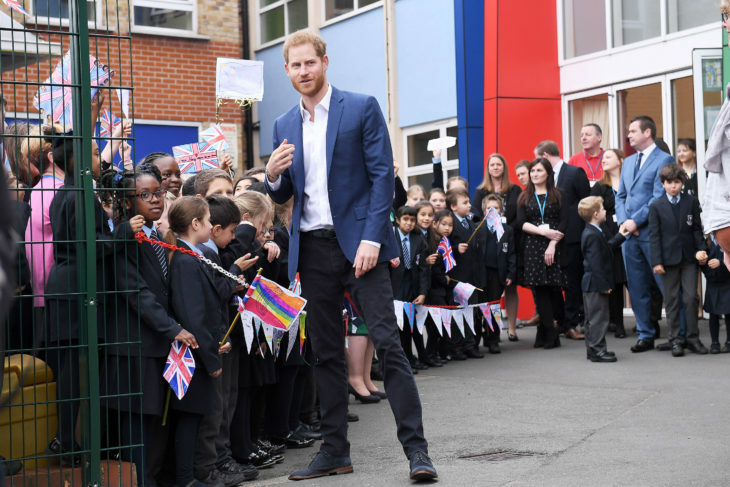 Namely, Prince Harry has recently helped students from St. Vincent’s Catholic Primary School in Acton plant saplings in the school’s outdoor nature area. On that occasion, he also met the headteacher’s dog, Winnie, who seemed to like him a lot. 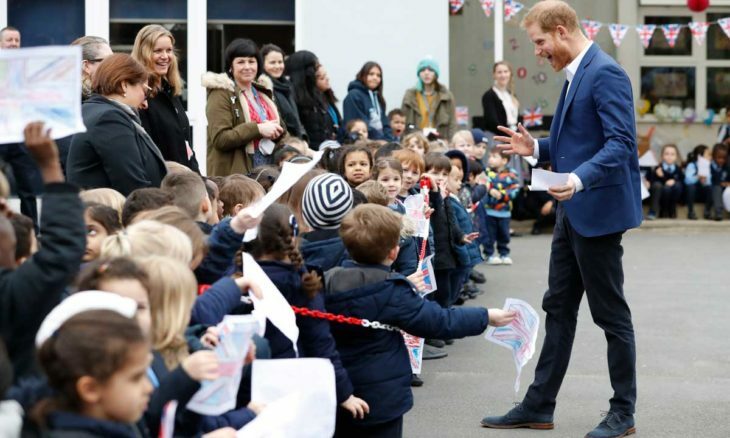 Prince Harry bent down to pet the dog, and when Winnie got too excited and almost got too jumpy, the Prince slowly put the finger on his mouth to shush it and calmed the dog immediately, as if he was a dog whisperer. Of course, it remains to be seen whether he’ll be able to calm his crying baby the same way, but this moment shows that he most likely will be. 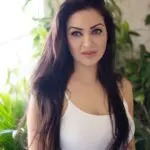 “She has got dogs and they are an important part of her life and the family. They have the two dogs already and with the baby on the way, it might be a bit much that’s happening,” CEO Caroline Yates explained at the time. All in all, given that Meghan Markle’s due date is getting closer, we won’t have to wait for too long to see what kind of parents this royal couple will be. In the meantime, stay tuned for more news.